The Tower of Power makes homebrewer dreams come true: a fully automated RIMS (Recirculating Infusion Mash System) brewery with programmable specifications right in your own home. This system will monitor your temperatures, turn your burners on and off, start and stop pumps for recirculation or sparging, and more - all without your lifting a finger. Hold mash or sparge water temps to within 0.5F, perform complex multi-step mashes with ease, and get pro brewery-level efficiency from your grain. A RIMS system can also produce crystal clear wort. The system is very adaptable and adjustable to your needs. The basic component is the Control Enclosure; buy one for your mash tun and get a second one for your sparge tank. Each Control Enclosure comes with all the parts needed to control one burner and monitor temperature. Note: some additional plumbing parts may be needed for your specific system.The optional Pump Tower is a free-standing unit that is available with or without a March 815-HS pump. This unit is great for RIMS (recirculation infusion mash systems), but can be used for regular mashing and sparging as well. 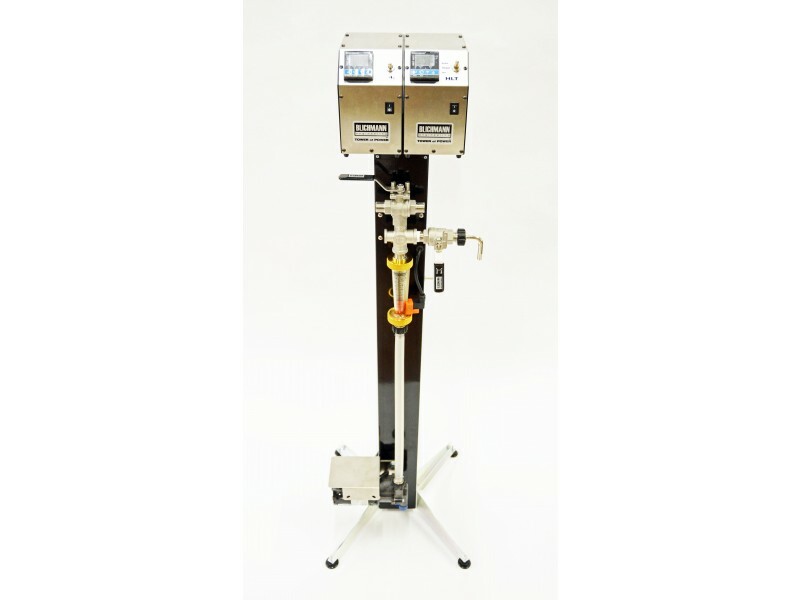 It features a wort sampling valve, a flow meter, and a low-flow rate alarm and is mountable on the Blichmann Top Tier. The optional Communications Cable allows you to connect the control unit and a computer; using the free software (Windows XP, Vista, and 7 only) you can program your schedules and control the system remotely. The optional Bushing allows you to install the Control Enclosure's temperature probe on 1/2" npt threads instead of a 1/2" hole. Please allow 1-3 weeks for delivery, as the Tower of Power ships directly from the manufacturer via FedEx Ground.